Reactive Power (kVAr) is necessary to run commercial electrical equipment like our ALIS Power Hubs. 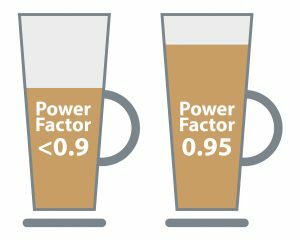 Think of commercial energy consumption as a latte coffee or pint of lager, where a Power Factor rating of less than 0.9 creates too much useless froth (Reactive Power), and therefore additional utility charges. Our ALIS Power Hubs have a Power Factor of 0.95 which produces the optimum amount of ‘froth’ (Reactive Power) with zero or minimal kVAr charges. To find out how our ALIS platform can deliver additional savings, reductions and yields on your farm please call +(0)131 650 8851 or complete the form below.